A Vietnamese teenage boy was killed and three of his peers injured when they were making firecrackers at home with explosives bought online, in an explosion that also left the mother of one of them wounded. 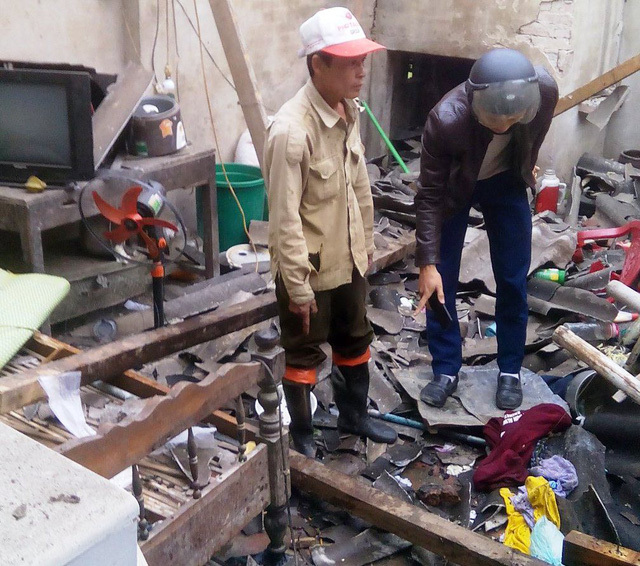 The blast took place at the house owned by Nguyen Xuan Duc, 50, and his wife, 46-year-old Pham Thi Thu, in Bui Xa Commune, Duc Tho District, located in the north-central province of Ha Tinh, at around 4:30 pm on Tuesday. Residents approached Duc’s home after hearing a loud bang and discovered that the residence had been severely damaged. The explosion killed Dang Bao Long and injured Tran Van Tuong, Hoang Tuan Vu, and Nguyen Xuan Quang, all 15 years old. Thu, Quang’s mother, was also wounded in the blast. The injured victims were later brought to the hospital for treatment. Vu and Truong have been transferred to the general hospital in neighboring province of Nghe An due to serious injuries. According to Le Van Thang, chief of police in Bui Xa Commune, the four young boys had purchased explosives online and attempted to make firecrackers by themselves. In related news, Ta Van Minh, 30, was found dead in his house following an explosion sound in the southern province of Dong Nai on Tuesday afternoon. Police officers have arrived at the scene and launched an investigation. Eyewitnesses believed Minh had been making firecrackers at his home prior to the blast. Lighting firecrackers was previously one of the common festive activities during the Lunar New Year (Tet) in Vietnam, which falls on February 5 this year. In 1995, the production, trade, and use of any type of firecracker were banned due to potential dangers and fire hazards. However, many people still neglect the law and use the explosives, especially during Tet. Some also risk their lives making their own firecrackers using tips from the Internet.